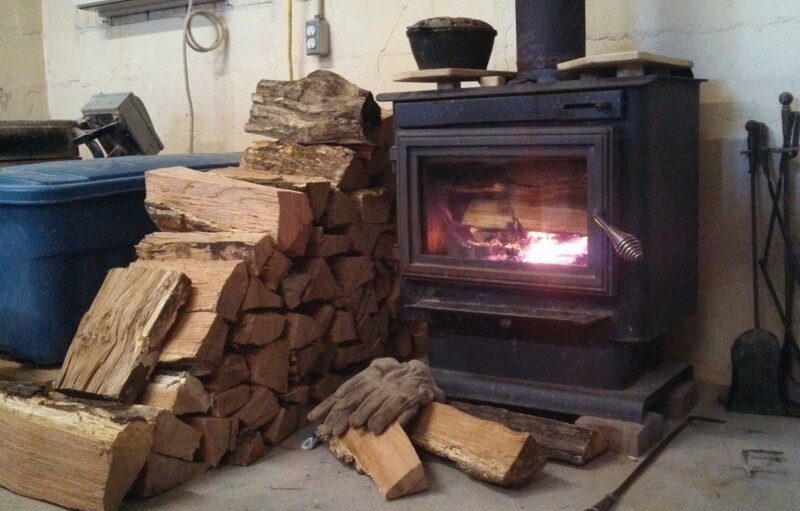 Mark Twain said that the American wood stove was more work than a baby…and I agree. A large portion of my day is dedicated to preparing wood and maintaining a fire. The last thing I do before tucking the studio in at night is pack the stove to the seams and chop kindling for the morning. The first thing I do in the morning is chop enough wood to last the day and haul it into the studio to stack. Chop, haul, stack, stoke, clean, repeat. It really is like a baby…feeding, cleaning, feeding, cleaning. Uhg. So why all this work? Why not just install a gas heater and be done with it, right? Ashes. 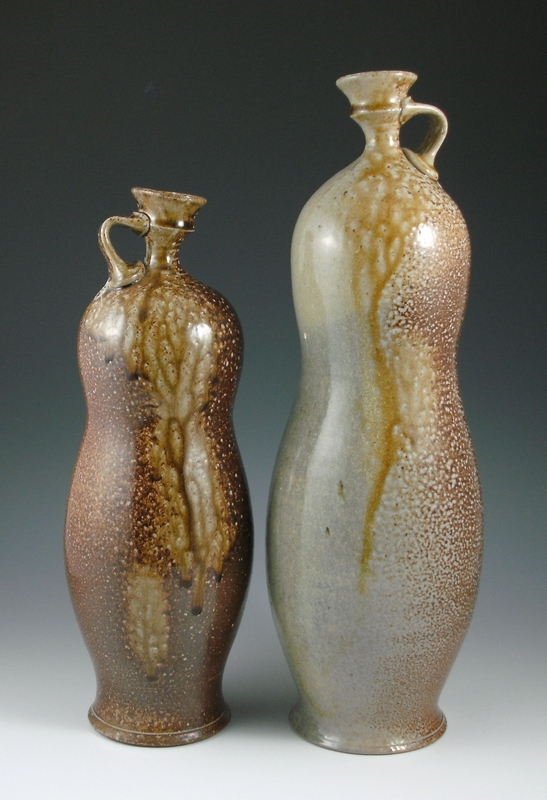 More specifically ash glazes. It’s become my thing, and there really is something to it. The trick is I’m firing to cone 6-7. Pottery books are full of cone 10 recipes, and honestly ashes don’t need a whole lot of help at cone 10. 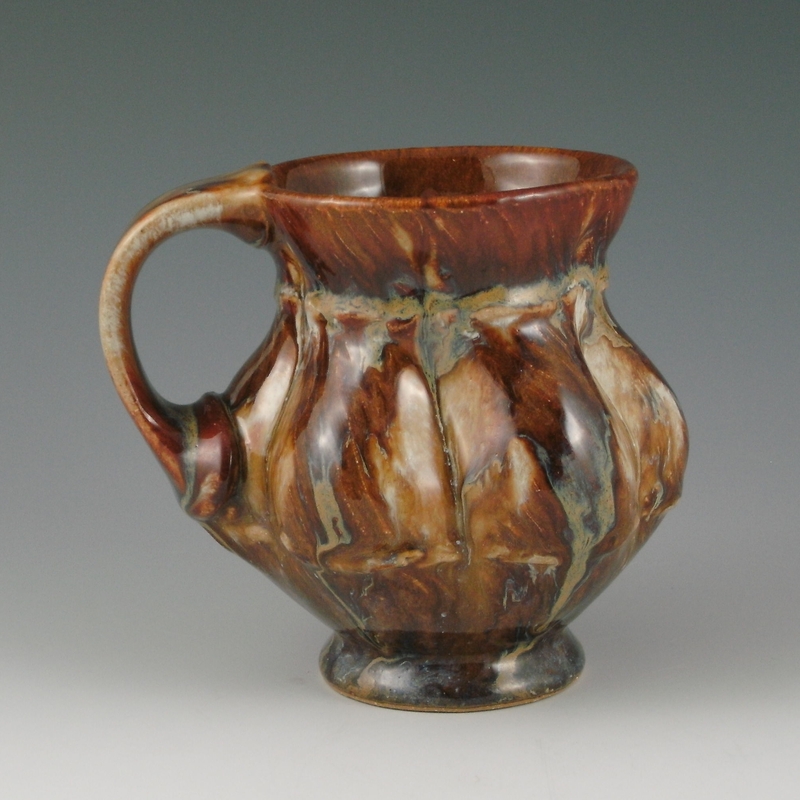 Wood firing is a great example. It’s essentially a slow accumulation of wood ash fired to 2400 F. It’s beautiful all by itself. Cone 6 is another story. Ashes need a lot of help at 2240 F. I’m endlessly testing new recipes, which is also more work than a baby. I could just buy fake ash glazes from the supplier but that feels icky. And empty. I’m looking for more than that. We think of ashes as being the end of something. We think of them as being all that’s left after something good is gone. But there is a lot left behind. It just needs much more heat and a nice form to hang on. There’s a sense of redemption in the process and I need that. 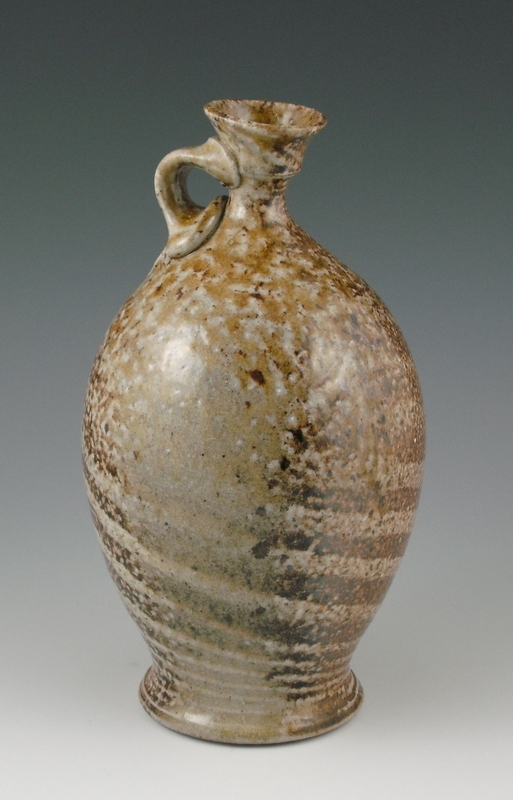 It gives a fullness, a richness, and a history to the materials to where even the materials themselves have meaning. And if we are going to spend our lives doing something it had better mean something. I work in cycles and every cycle begins with the making of mugs. In many ways this beginning is my favorite part of the whole process. I pick up where I left off last time….raise that foot a little higher, swell the belly a bit more, tuck the rim in, drop the handle a hair, and try something new. 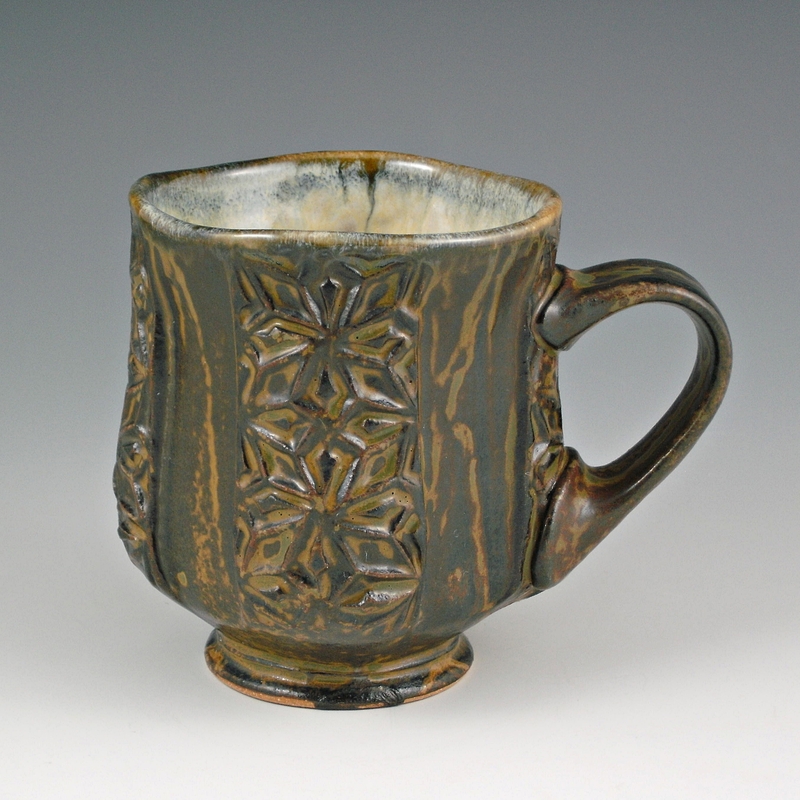 Coffee mugs have become a haven of exploration and a place of departure. Sometimes the changes are very subtle, other times there are minor revolutions on my wheel. 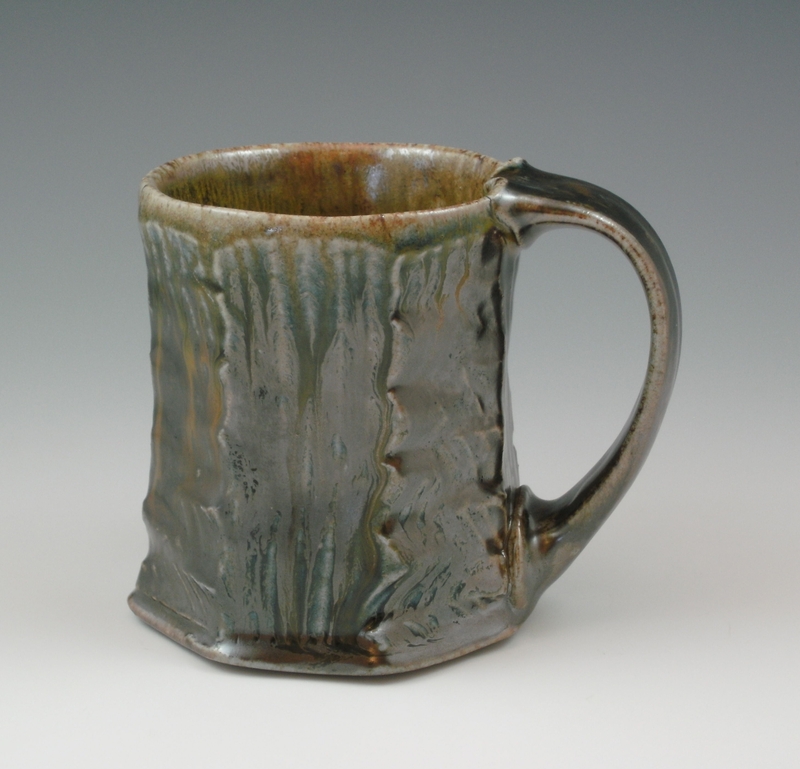 And…after days, if not weeks, of mug making trials and victories- it’s on to other forms. 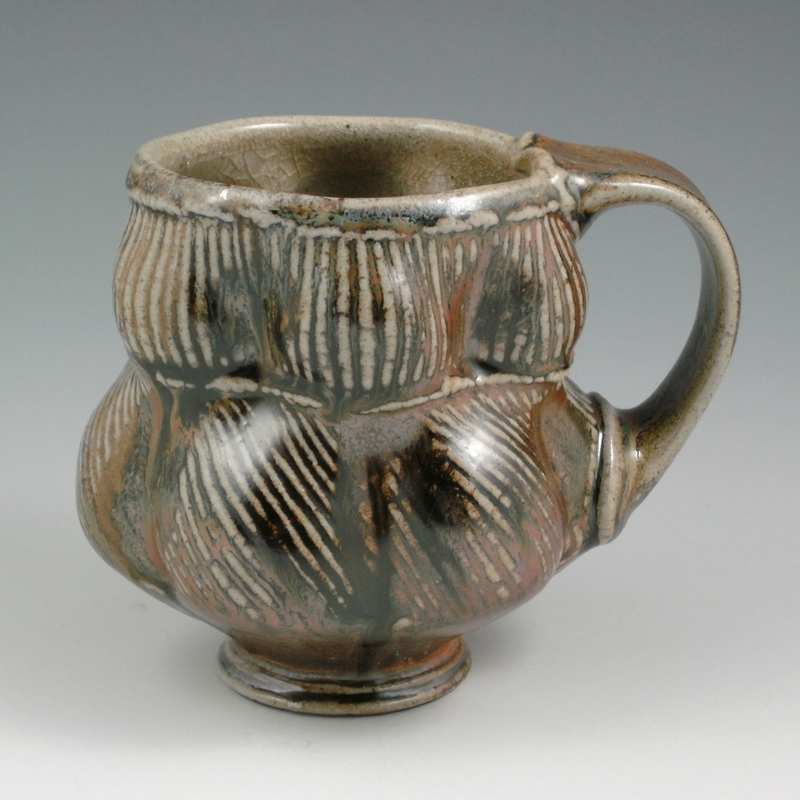 What evolved with the mugs eeks its way into pitchers, teapots, bowls, and bottles. 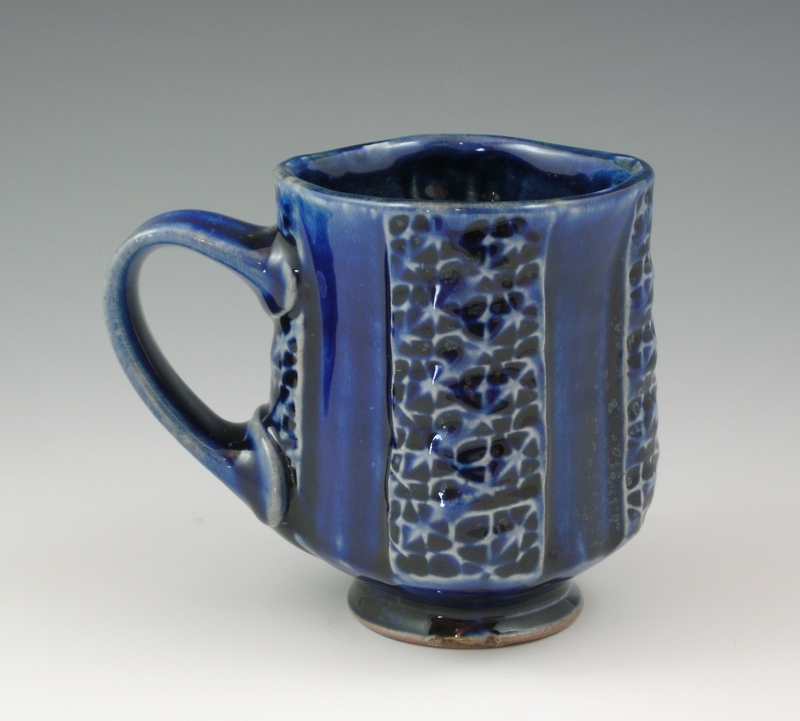 These forms present new challenges- and by the time the kilns have cooled- it’s back to mugs again. Enjoy! Footed Mug. 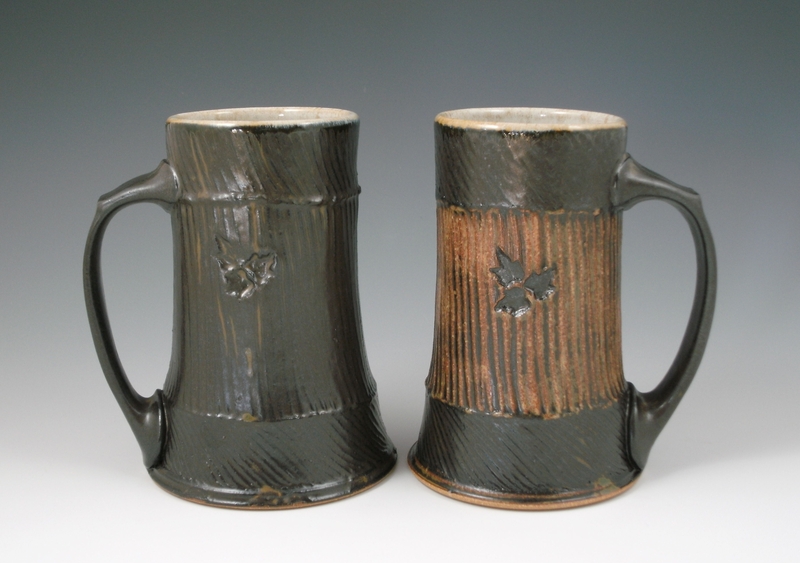 Stoneware with Black Slip and Eric’s PA Blue Stone. 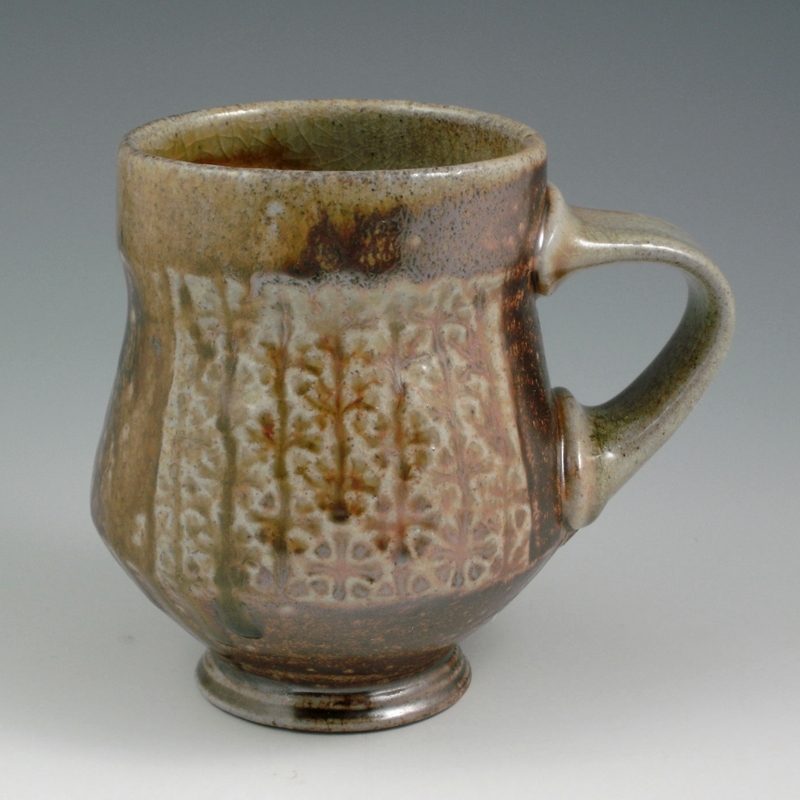 Footed Mug. 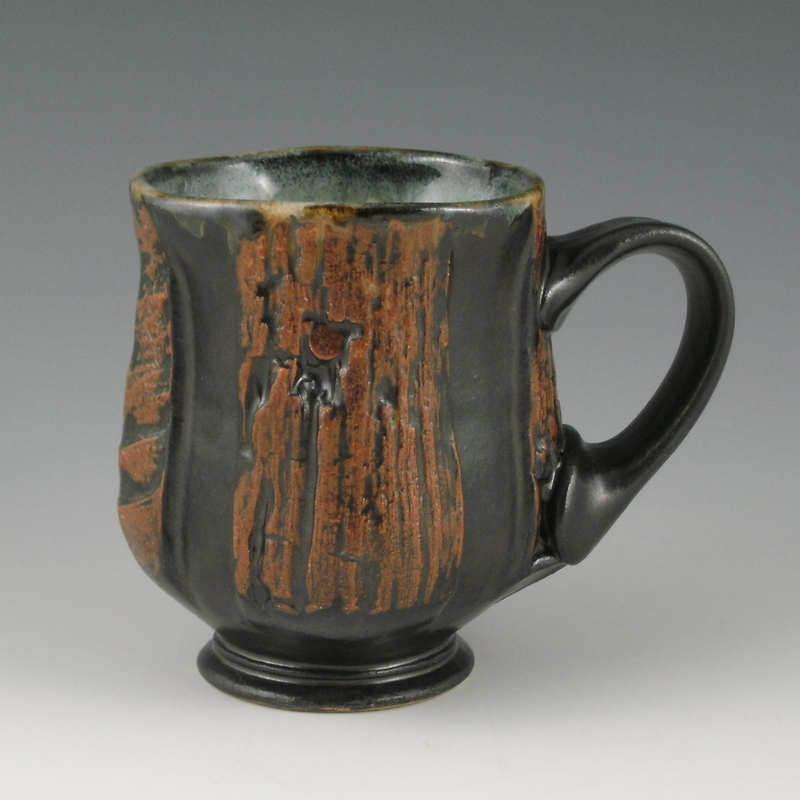 Wood-fired Stoneware with K Shino. 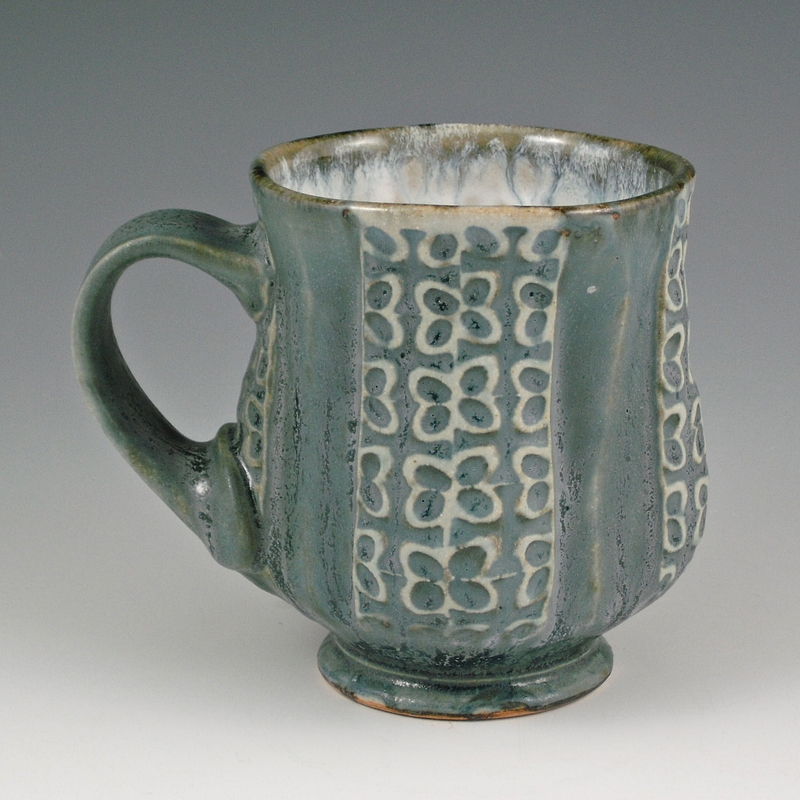 Eric Botbyl, 2011……Kristen Kieffer was nice enough to choose this one for Starbrick’s Annual Cup Show- thanks!